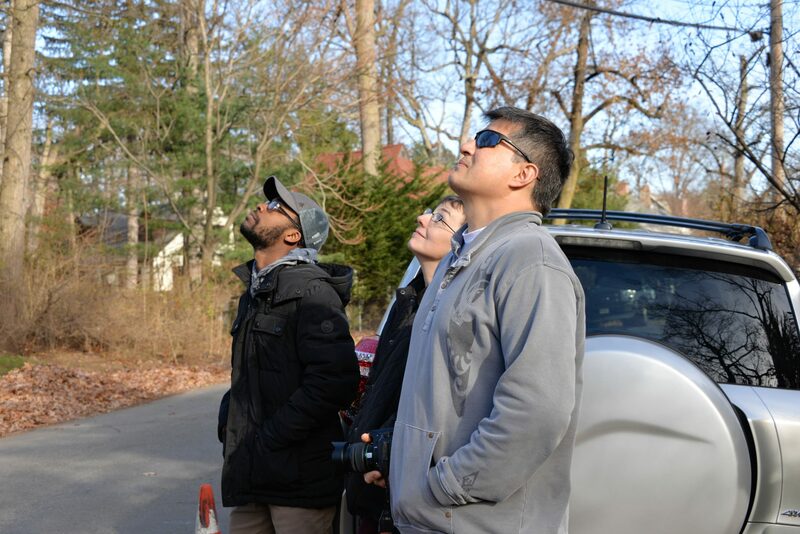 SHORT HILLS, NJ – A beehive 50 feet above Oakview Terrace was saved last Wednesday through a coordinated effort of the Cora Hartshorn Arboretum staff, Millburn Township Shade Tree workers, and beekeeper Joe Lelinho of Hilltop Honey. Thousands of regional honey bees built the exposed hive, but with temperatures plummeting the bees would have died. Community member Amy Sherman Gotsch first reported the hive and Arboretum trustee member, Mukta Bhatia notified Cora Hartshorn Arboretum Executive Director Tedor Whitman. Whitman assembled the bee rescue team that included Lelinho, beekeeper and owner of Hilltop Honey, John Walker, Sam Mercandante, Rick Reilly, and Ryan Keenan from Millburn Shade Tree. The bees are spending a cozy winter at Hilltop Honey.